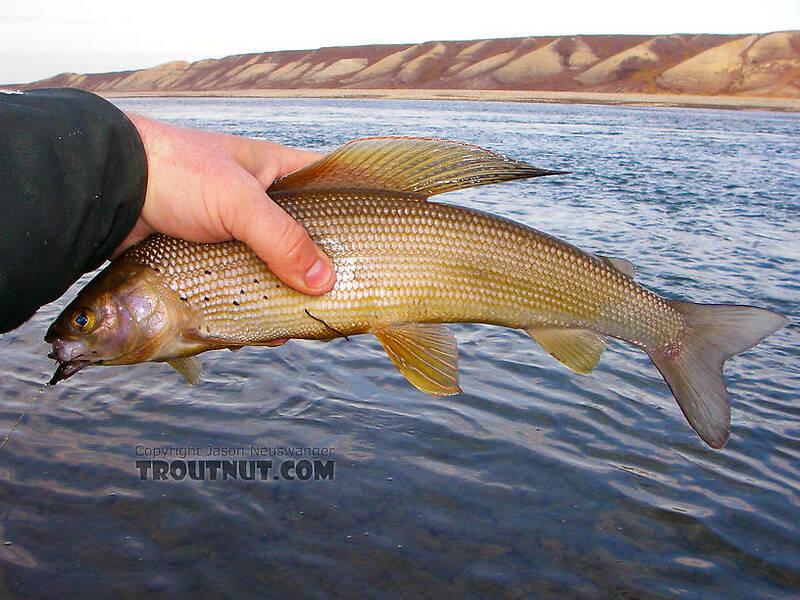 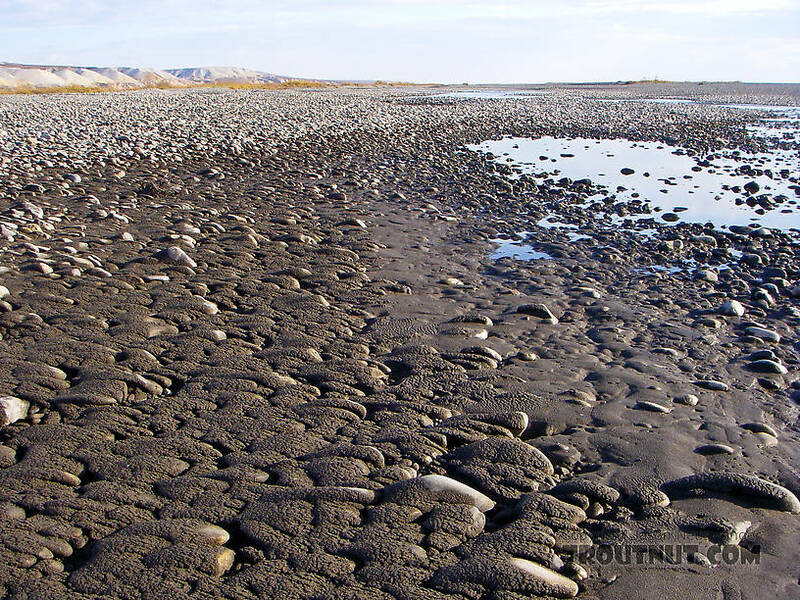 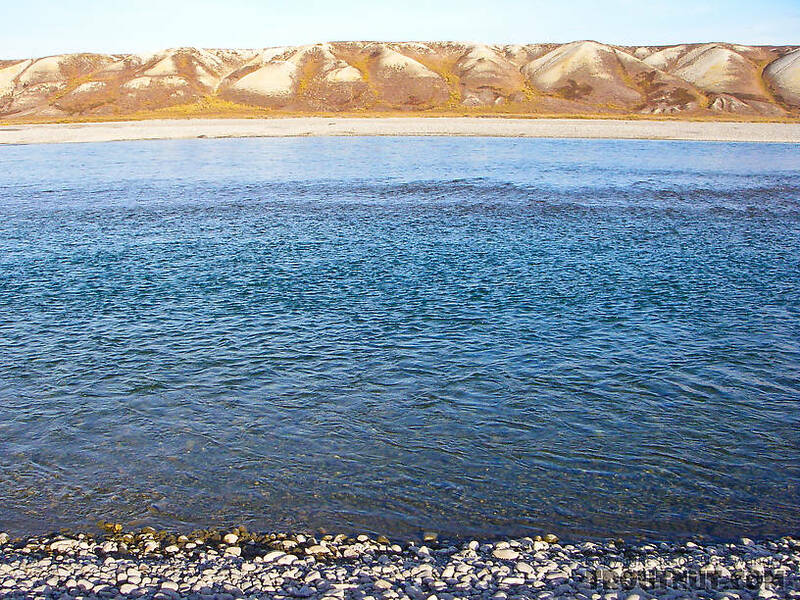 A muddy, mile-wide cobble bar on the very lower Sagavanirktok (or "Sag") River. 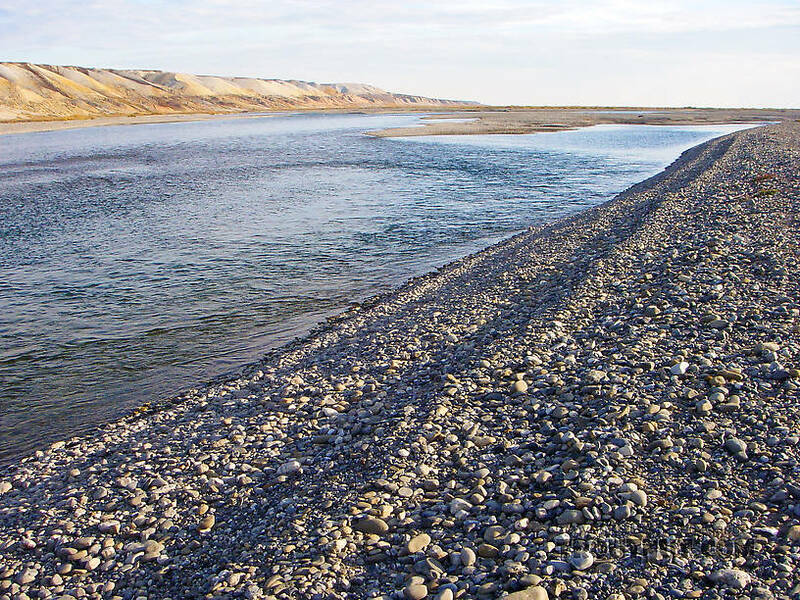 The Sag at Franklin Bluffs. 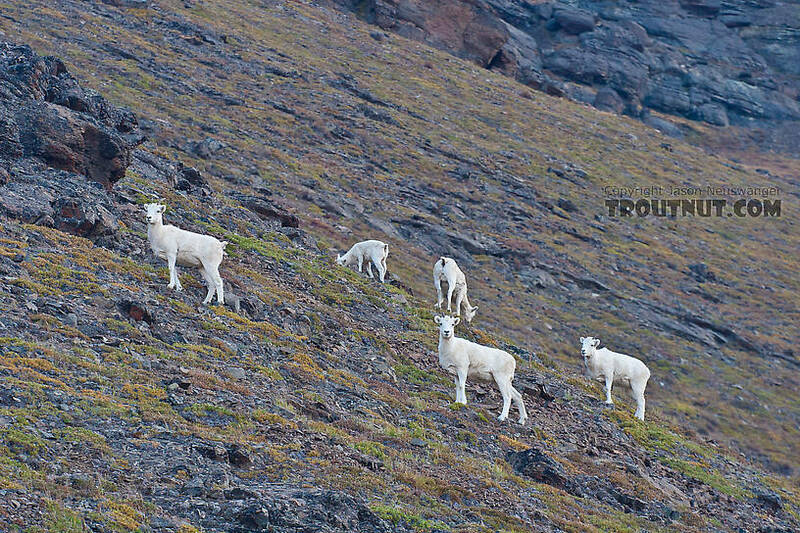 Dall sheep on the side of the mountain overlooking Galbraith Lake, north of Atigun Pass. 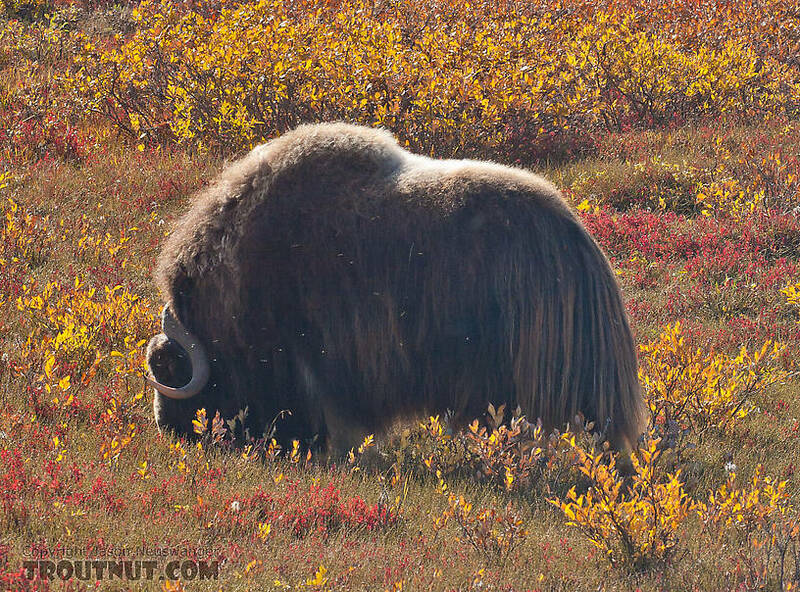 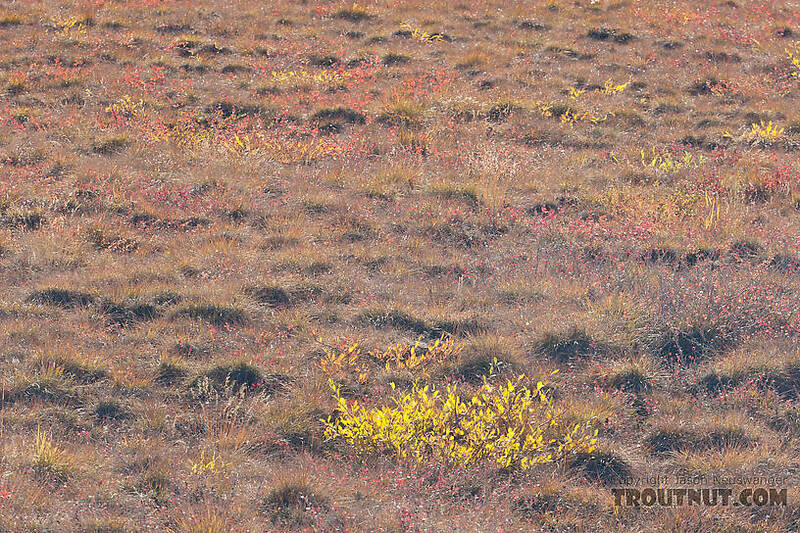 This close-up of the tundra gives you some sense of what it's like to walk on the stuff. 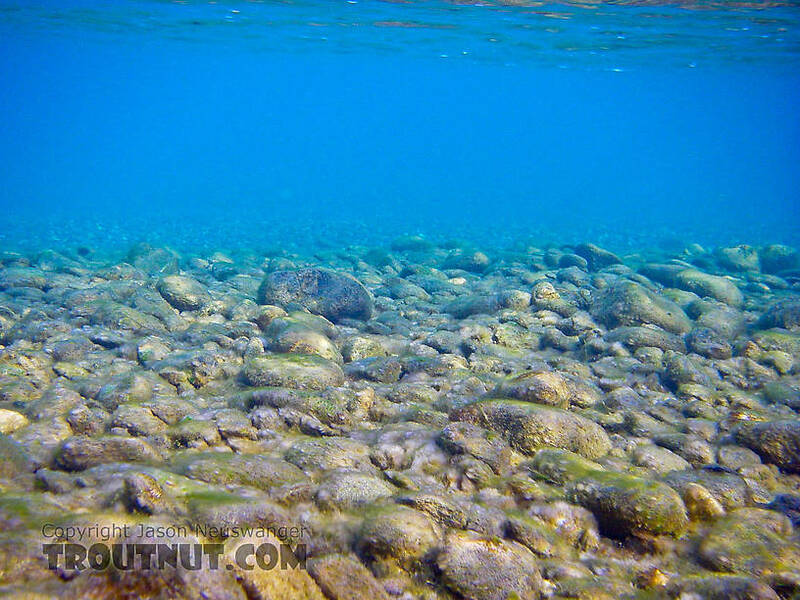 I've heard it compared to walking on a mattress stuffed with basketballs. 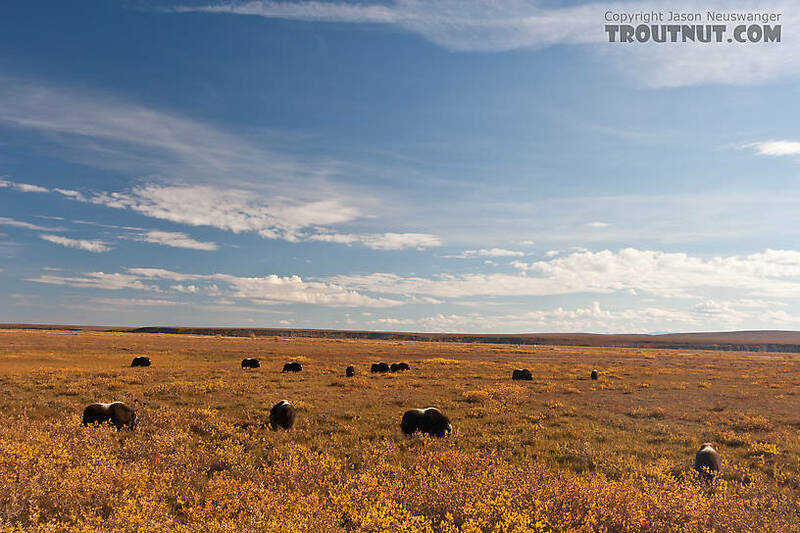 More of the same herd of musk oxen. 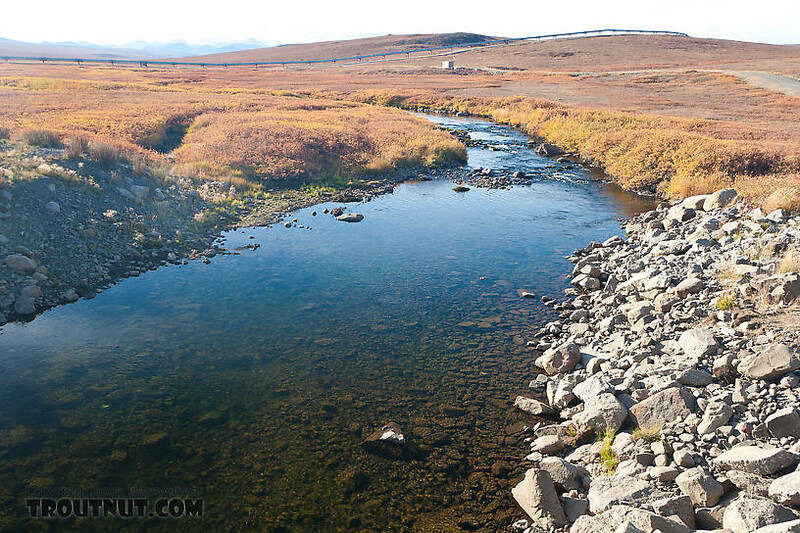 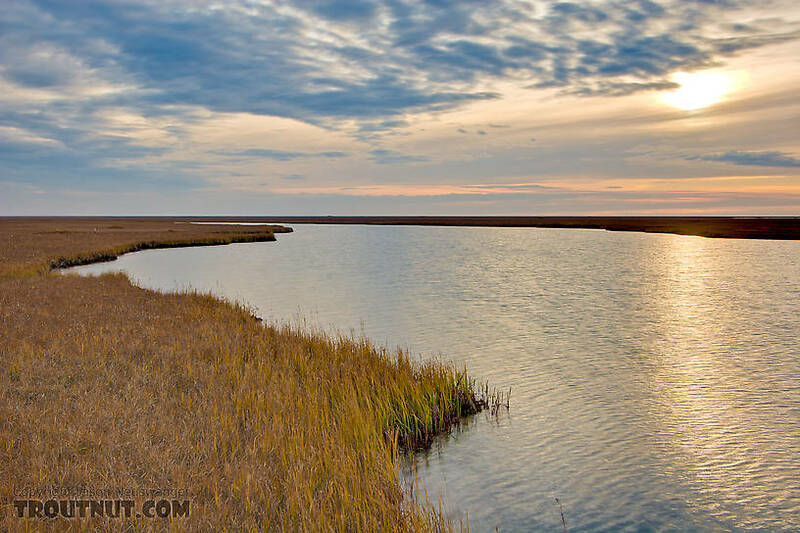 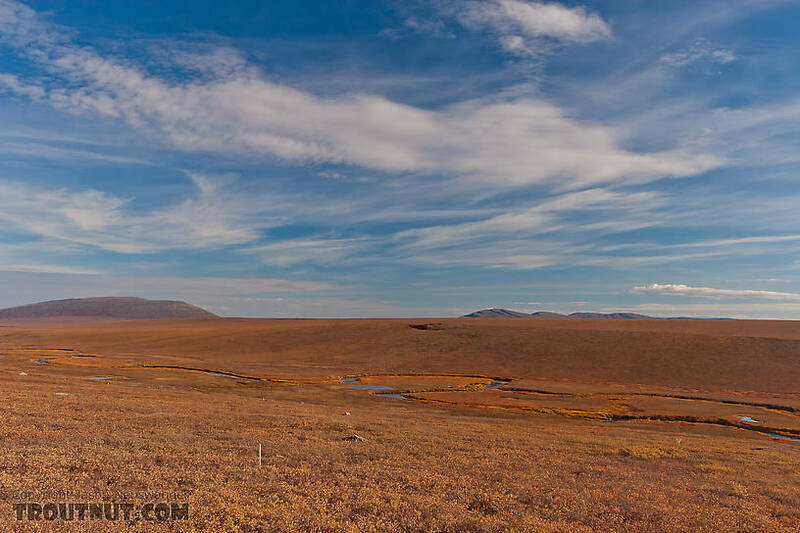 This is one of the many shallow, unnamed lakes in the Arctic coastal plain near the Dalton Highway. 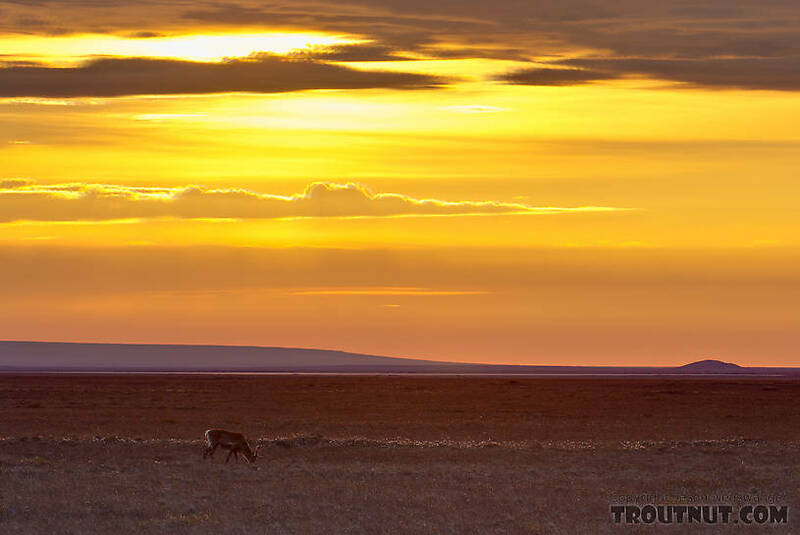 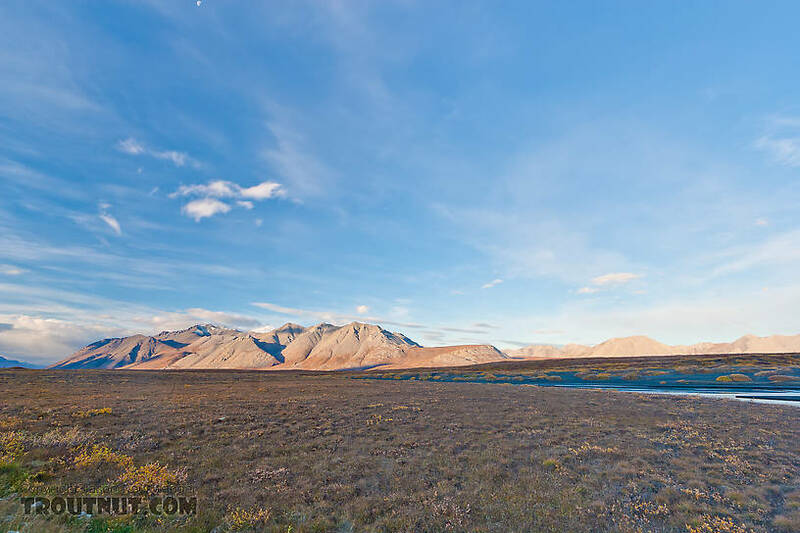 A lone caribou grazes on the Arctic coastal plain near Prudhoe Bay. 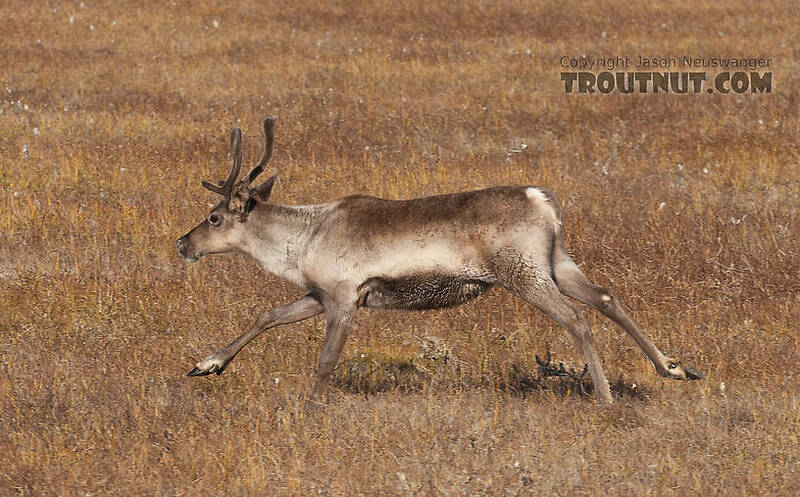 This cow caribou ran across the road in front of my car. 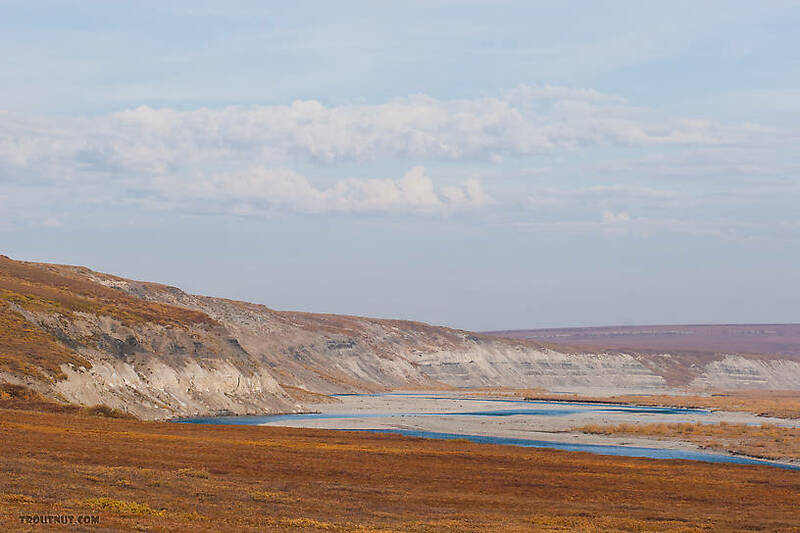 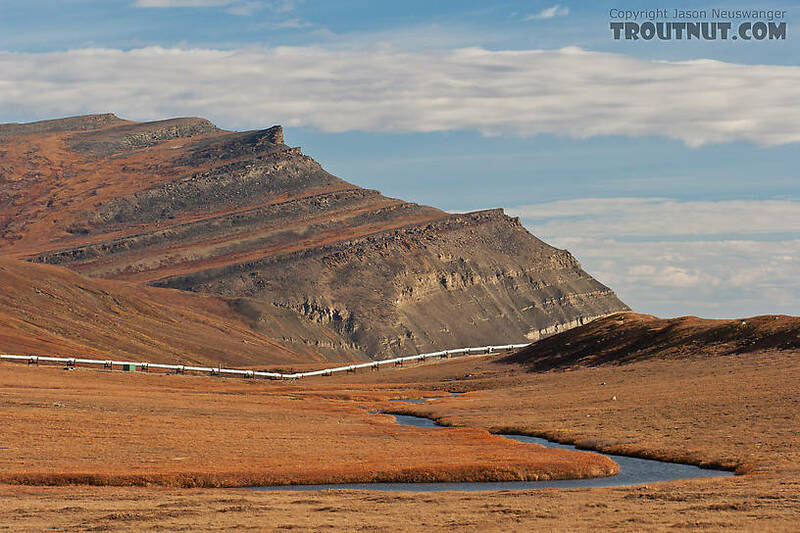 The lower Sag's size is impressive here at Franklin Bluffs (those hills on the left), not far from Deadhorse and the Prudhoe Bay oil fields.